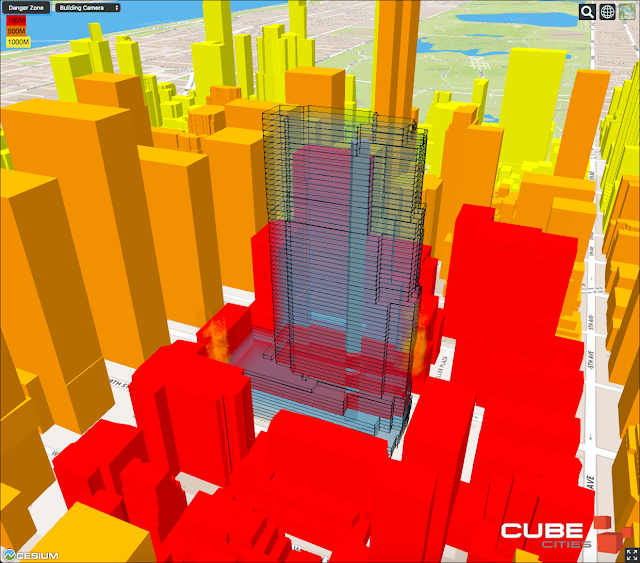 We can visualize buildings served by their FDNY company in New York with our 3D visualization app for NYC Open Data. The graphic above shows the FDNY coverage across buildings in midtown. This data comes from the NYC PLUTO data set compiled by the City of New York Department of Finance. 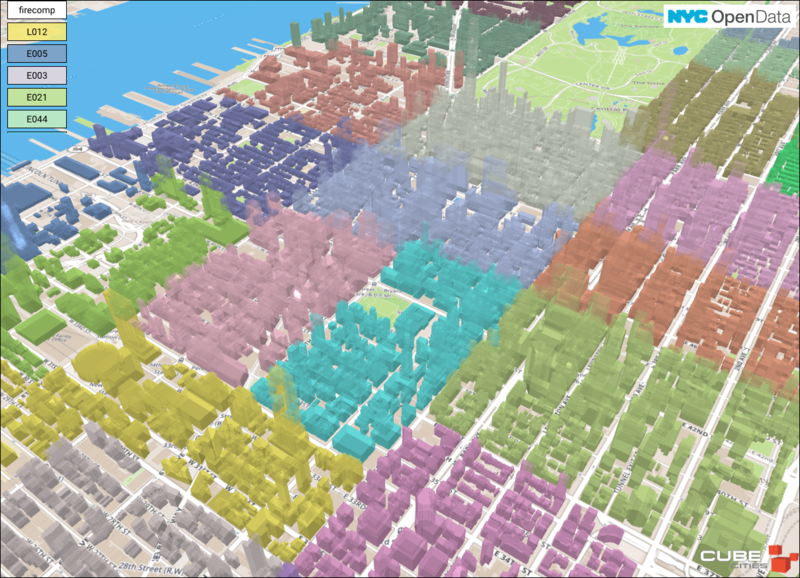 Risk mapping in dense urban areas is best understood in 3D. 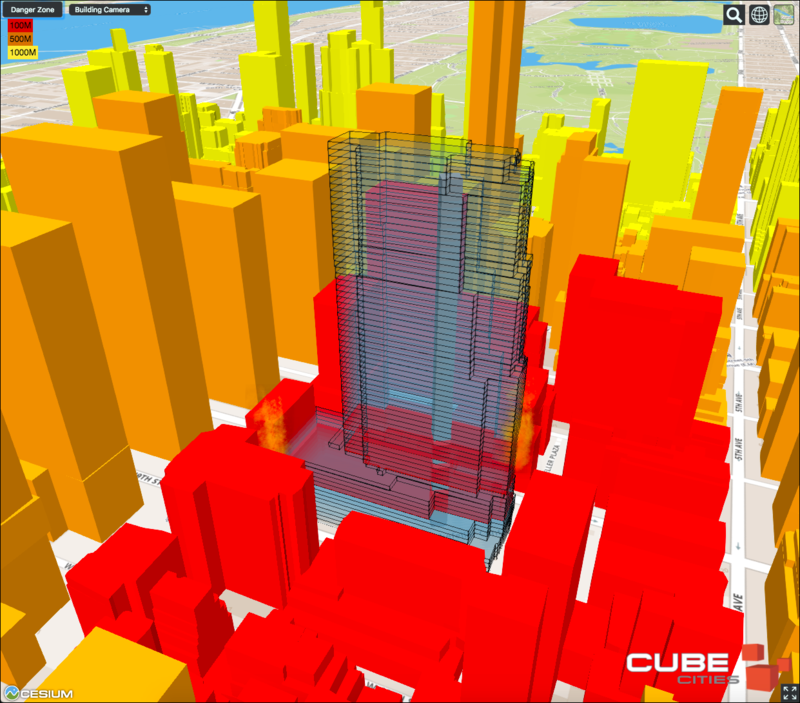 Here's a look at an example emergency situation at Rockefeller Center with the risk that buildings are exposed to visualized within 100, 500 and 1000 meters. 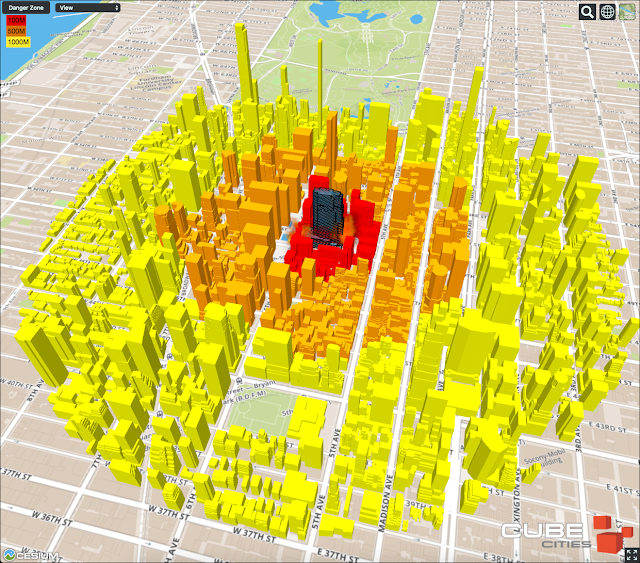 These applications of geospatial heat mapping can be applied to fire, crime or natural disasters such as flooding. The graphic below shows the floor-level interpretation of the same example emergency.